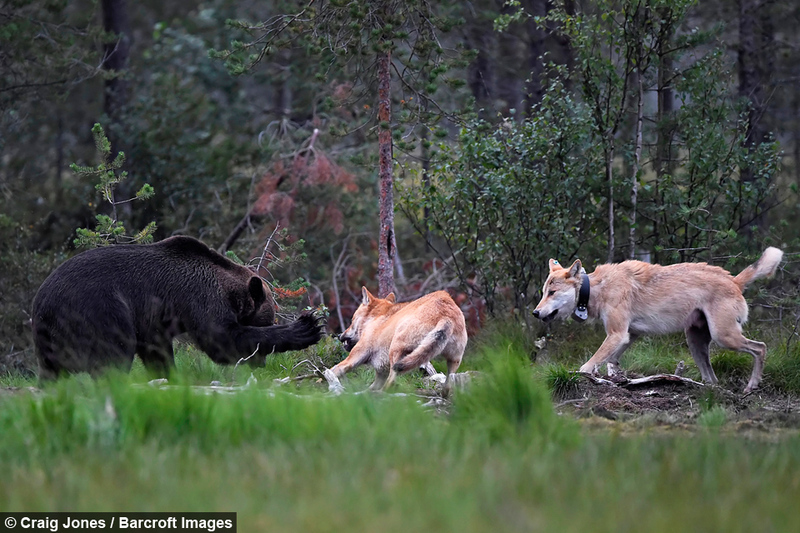 The wolves chased the bears out of the area in Taiga, Finland - also known as the Boreal or Snow Forest - after the bears attempted a raid on carrion left in their territory by Finnish photographer Lassi Rautiainen. 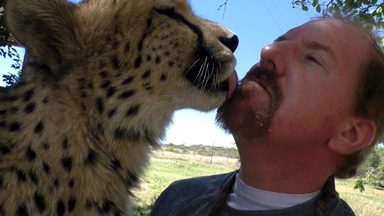 Wildlife photographer Craig Jones spent fourteen hours a night in a hide just metres away from the animals to capture the whole encounter on camera. 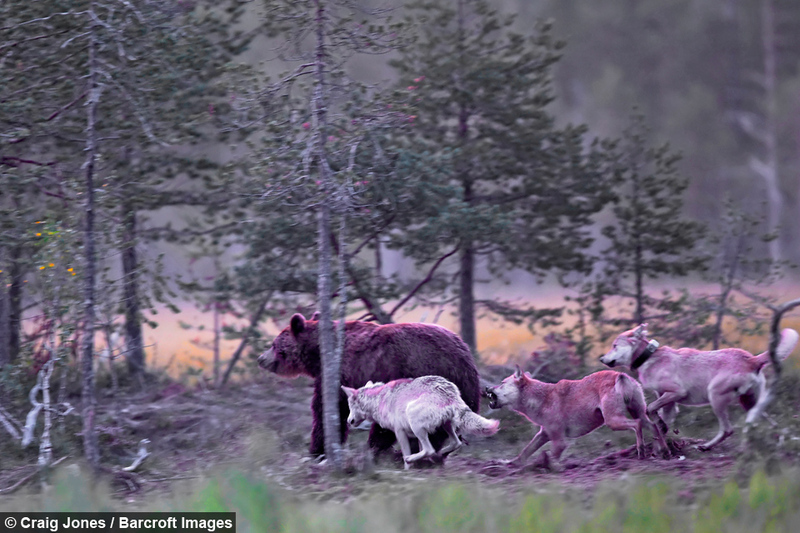 Craig said: “What I observed was that the wolves would come as a pack of four and they would stand and watch, one would fade into the background, almost following the bears like a ghost. 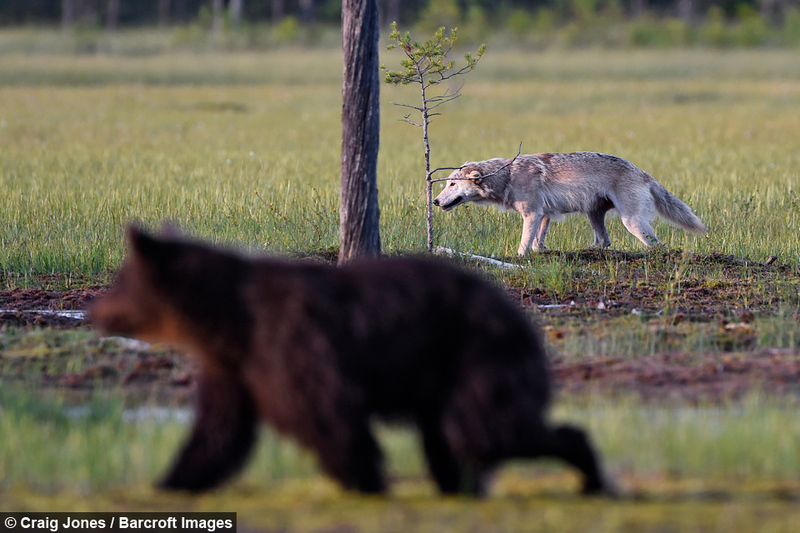 The wolves rounded on the bears and drove them away from the carrion, but their encounter was not entirely peaceful and one bear took a hefty swing at a wolf trying to nip at his heels. Staffordshire-based Craig added: “It felt absolutely amazing to witness these events, these bears attacking the wolves had not been witnessed like this for some time. “We were very lucky on our last night with all those attacks. I was told the wolves were quite hungry and they wanted the bears out of the way. 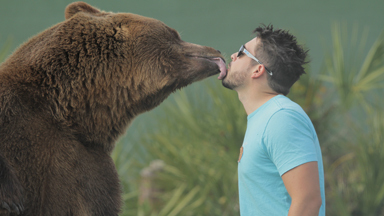 “The alpha male and female run after the bears and split them up to get them away from the food. 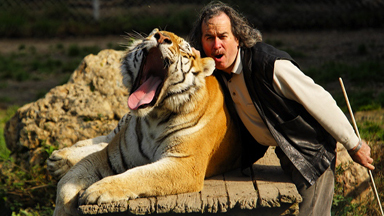 “Where the carrion is put is primarily in the wolves territory, so it is the bears coming into the territory. 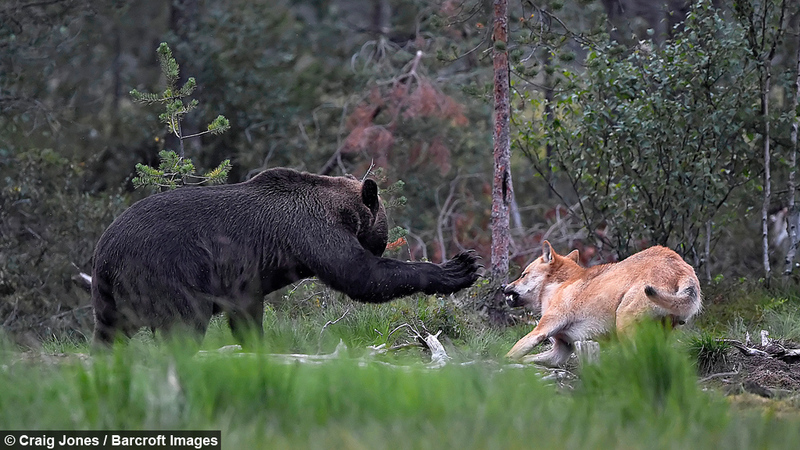 The Finnish word for wolf translates as "sushi" and also means "a useless thing"
Craig was also lucky enough to witness some internal fighting amongst the brown bears, with two brown bears taking swings at one another in a dispute. 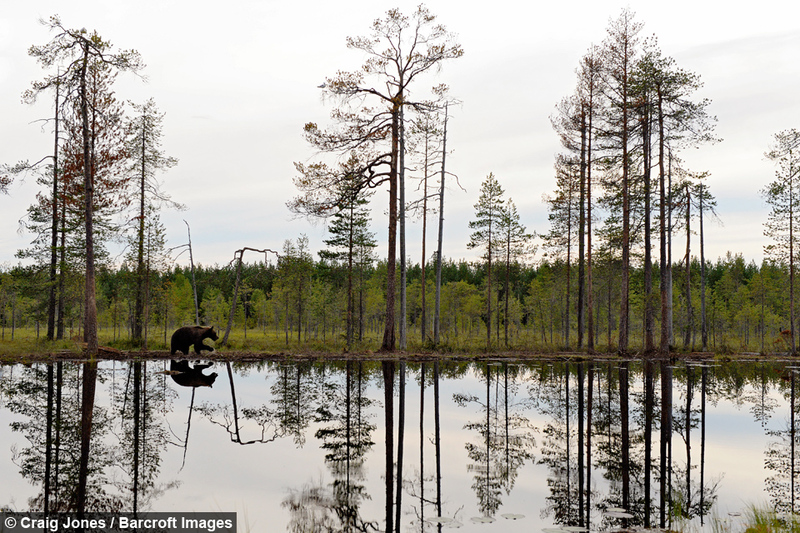 The territory lies in a demilitarised zone between Russia and Finland where bears and wolves roam free safe from hunters - the zone requires a permit to access it. 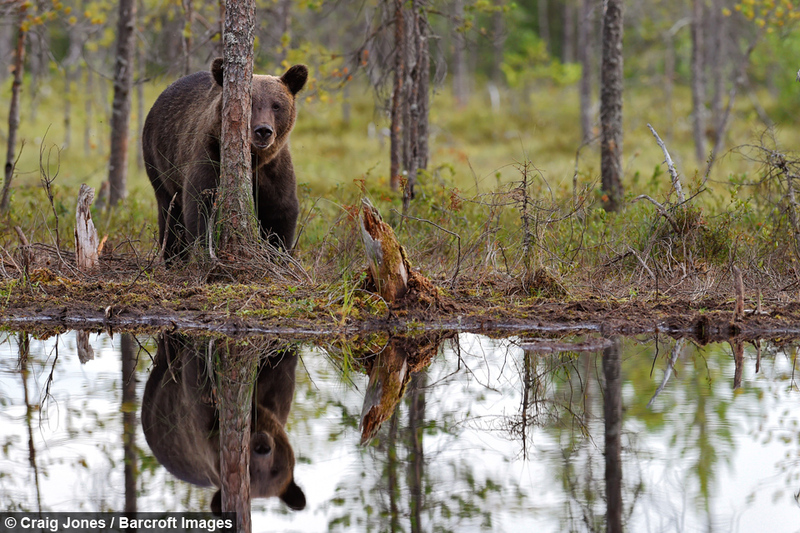 Jones ventured to Finland, along with his clients who he takes on photo tours while passing on his lessons in photography, to capture the animals in their natural environment. 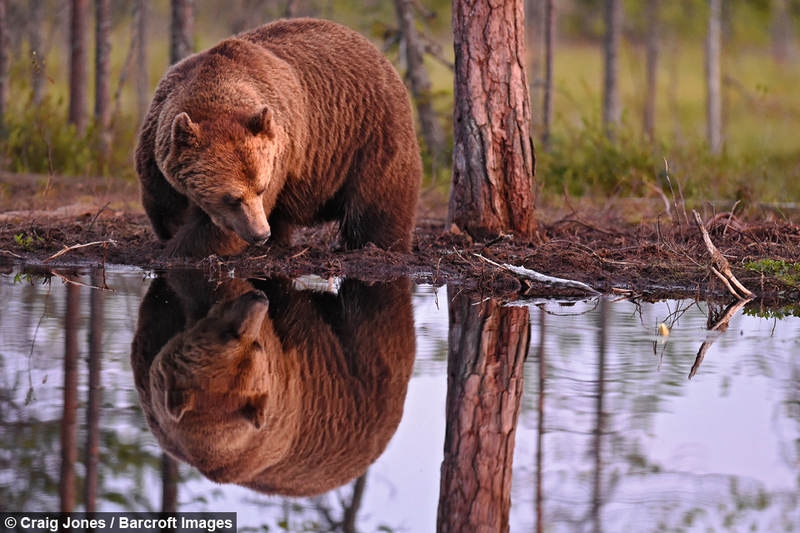 Spending five nights locked in the hide with nothing but a couple of mattresses and a compost bin for a toilet, Craig captured the animals during their most active hours in the twenty-four light of Finnish summer. 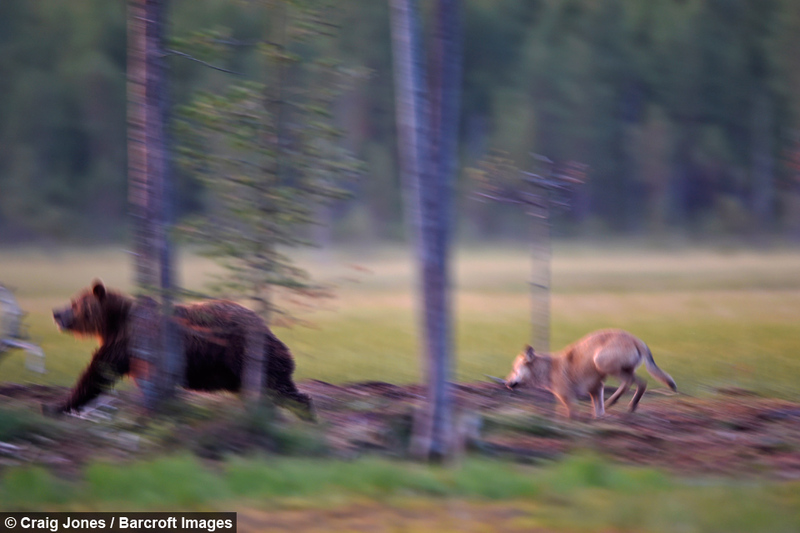 Although the estimated 1,500 bears living in Finland are treated with reverence, wolves do not enjoy the same treatment. The wildlife photographer said: “Unlike the fox and bear, the wolf has always been feared and hated in Finland, and the wolf has been the symbol of destruction and desolation. “To the extent that the very name of wolf in Finnish language, “sushi”, means also “a useless thing” and the by-name hukka means perdition and annihilation. 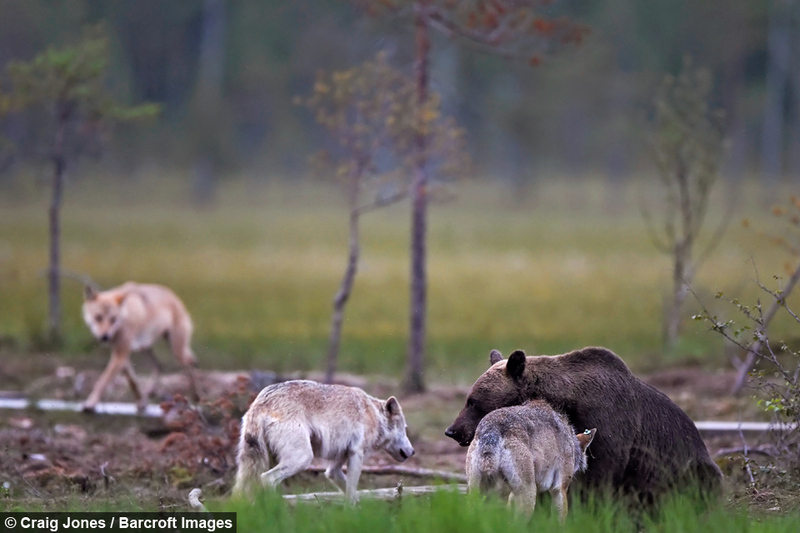 “While the bear has been the sacred animal in Finland, wolves have always been hunted and killed mercilessly. In an effort to dispel rumours that wolves are stealing livestock, Lassi Rautiainen is working with scientists and the Finnish government to tag wolves in order to study their movements.